Echols Co., GA – A drug bust at Echols County High School. 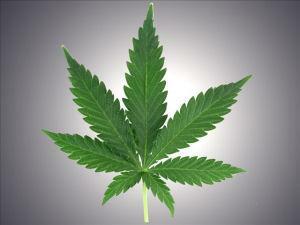 A young Spanish teacher was caught with marijuana and a smoking pipe on school grounds. 26-year-old Krystal Maldonado-Alers was arrested and charged with two counts of possession. “It is very rare to catch a teacher in this type of situation,” said Echols Co. Sheriff Randy Courson. She was caught in a routine school search Friday by the Sheriff’s Department using drug sniffing dogs. But the searches are intended to catch students. Sheriff Courson says they never expected to catch a teacher. All faculty, staff and students were told not to leave their offices or classrooms around 9 am. It seems Alers panicked. Sheriff Courson says she darted for her car, leaving her classroom full of students unattended. The principal spotted her trying to ditch a smoke pipe by the school fence. Then deputies found less than one ounce of marijuana in her car. “Teachers are supposed to set examples for the students and in this case I don’t believe that was being done,” said Sheriff Courson. Alers was taken into custody and charged with two misdemeanors and bonded out later that night. The real irony is she might have gotten away with it. There are separate parking lots for students and teachers and deputies had no plans to search the faculty lot. “We’ll run the student parking lot and the teacher’s from here on out,” said Sheriff Courson. The Echols County Superintendent says she was placed on Administrative Leave the same day as the incident and the Board of Education may take further action.